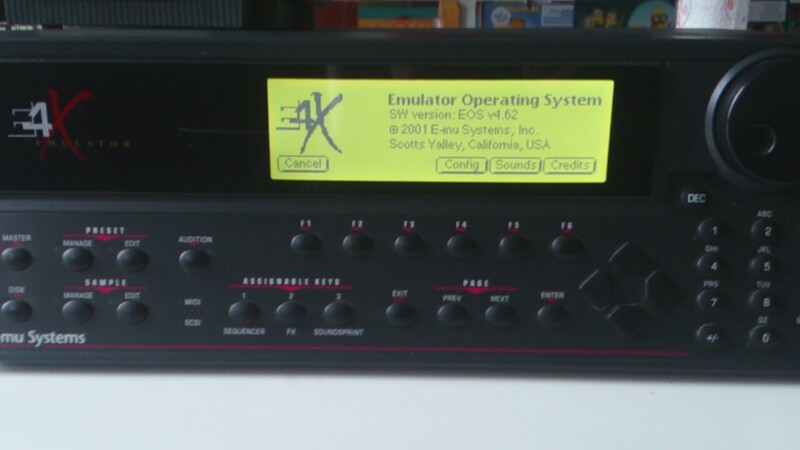 E4X Turbo, Sampler from E-MU. The converters are transparent and I do not know a rajoutent something ... DYNAMIC of potato or more commonly known as the FISHING friends!! It is a very complete machine. What goes in this box will not leave (at least) grows. Like all samplers of his generation (and therefore a starting date a little) its use is relatively simple. I wrote 10 years on Battery and other VST software, and I confess that I have a few good hours with instructions on their knees to test the performance of this sampler. But what a result! The manual is in English but it did not pose a problem. I know the sound for having Akai but between different samplers of this trademark. I used Battery 2 and 3 until now (hence the vst). But I can tell you that I do not spend more than the E-MU. The difference really is. Many fishing output, yet transparency is respected. But what you ask for? As someone before me have said everything that passes through this sampler is boosted. Nothing more nothing less. only downside to quibble, you lose a little sharp output we quickly catch up on any console EQ. One can only be moved by this sampler. Excellent converters, effective filters, the sound is littralement boost but keeps a ct natural, and a EHJV prsence indniable scne for the game with other instruments. The internal effects are effective and rglages prcis trs. This is my first sampler. APRs have sought the most suitable MODEL my game and my needs, I throw my dvolu BCAN on this and I do not regret my purchase. When we never Sampl ttonne lot beginners despite the record (in English!) And then Russia its first samples that are refined over and s'amliorent time. filters and dynamic E-Mu do the rest. A default sampler can still use the existing sounds SD whose quality is variable trs but we always find happiness. The possibilities of the machine seem limitless, the trs are rglages prcis. The dynamics are simply excellent. I've had about a month and if c'tait again I would resume the same machine. I love my friends and the group also: t they just bluffing! 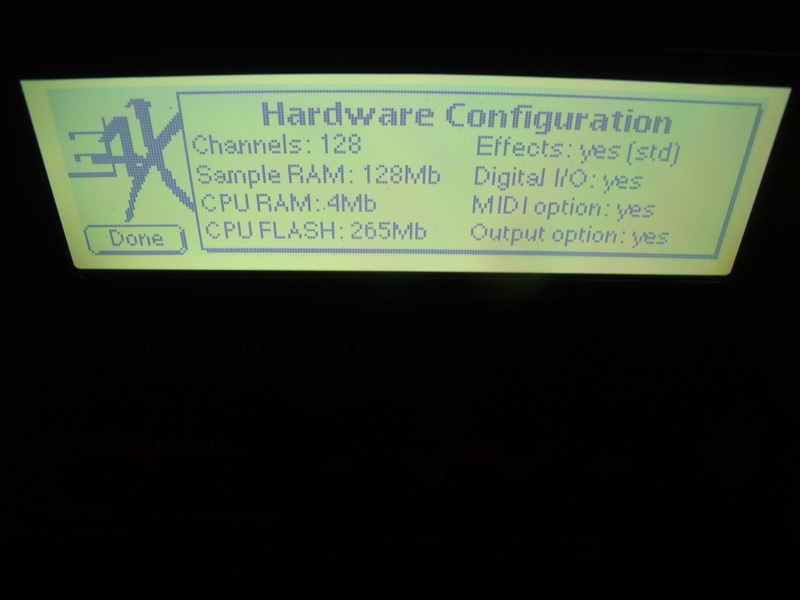 My E-Mu has all options, 16 outputs, AES / EBU, two MIDI ports, 128MB RAM, 3GB internal hard drive. The converters have superior dynamic range, a PCHE hell! Still need a flash SIMM 2 MB found so far to pass the four EOS EOS editor and use the link on the computer. APRS s'tre familiaris with the operating system, use s'avre simple and logical. 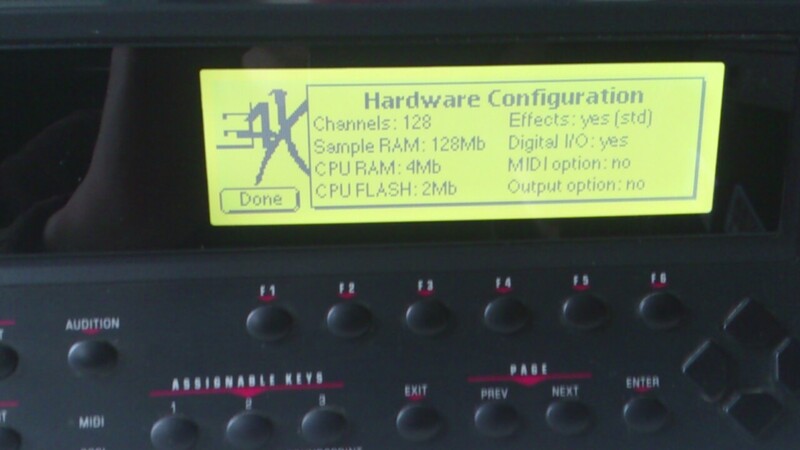 Up to 128MB, 128-voice polyphony, not bad options. It is always in the wind, even today. We shall have the features of the essential options, such interface 8in / 16out in numrique ADAT. There are 3 OS version 2.8 is 4.60 (the last) not to be confused with the Ultra Series. EM-U is we like it or not. 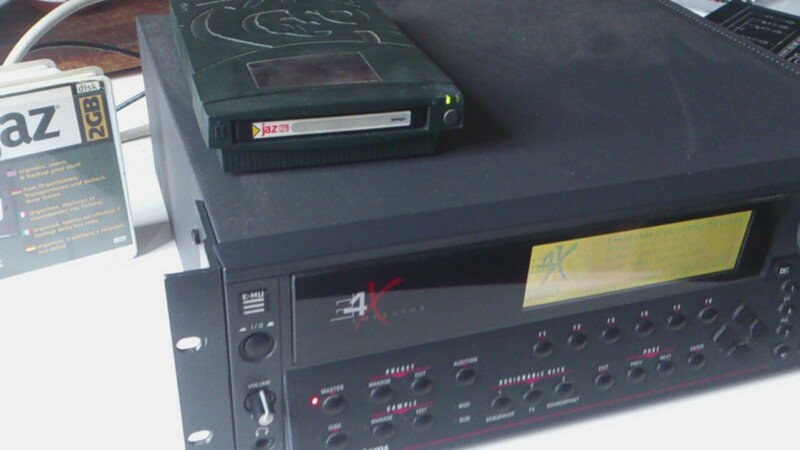 For me I prefer the presentation EM-U has the Akai. It's well heated, that is done very cleverly, the assay has the ear and sounds great especially it is very musical. Compared to the E5000 and E6400, the sound of E4X is slightly different, the sound is flattering with lots of body, sound does not collapse. 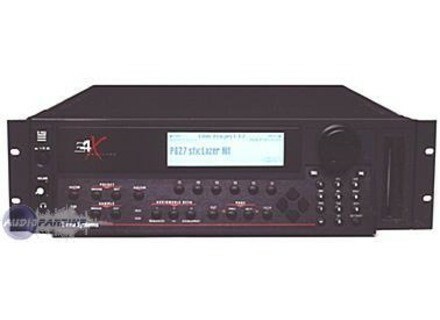 Compared with the Akai S6000, the E4X is in my opinion is over (and then some) question musicality. Filtering N / A is excellent, the converters are properly sized and not pushed to the maximum. This is a good sampler, for me it is THE sampler with those of series III. There is really no point of comparison, the E4X Turbo, are simply very well built. The instrument that really shows with the use of multiple-output (Option 6313) The tape is a lot of people, or the cap to the pole. Certainly it's 44khz, but what makes the difference is that the whole chain is music, nothing is growing and has a maximum speed that makes you laugh today, it really surpasses samplers that rise in 192khz . The construction is robust, the only real flaw is that there is no more SAV anything since EM-U either been swallowed up by Creative. It is a superb instrument for making music.